As a removable item, it’s made of a combination of plastic and metal that is molded custom to fit your mouth. As you’ve probably seen, the wires sit against the six front teeth with loops near the canines that allow for minor adjustments as the teeth settle into place. Because of these plastic and wire components, though, this retainer can be distorted or changed by heat or damage from impact, so handle with care. Dr. Weber will fabricate a retainer for each arch and encourage you to wear it regularly for upwards of two years. 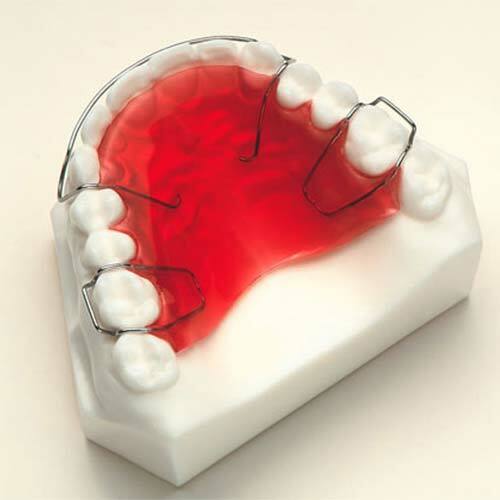 Initially, the retainer should be worn near full-time (16-18 hours daily). Usually after a few months, Dr. Weber will reduce the amount of wear you’ll need to keep things in place each day. The Vivera Retainer, by Invisalign, is the best option for maintaining long-term alignment of teeth. Vivera is an option for you to use regardless of what technology (braces of invisalign) that Dr. Weber used to align your teeth. 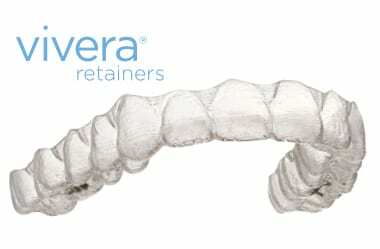 A Vivera retainer looks very similar to an Invisalign aligner, however, it is thicker and more durable. When you’re finished with treatment, we will provide you with a schedule for recommended wear time (i.e. nights only, few hours during the day, etc) Our goal is to ensure that your teeth remain in the same place they were when you finished treatment. Vivera retainers lock in your beautiful smile invisibly, whether you’re in the classroom or boardroom you will find these allow you to be confident and comfortable wearing them at any time, day or night. Unlike other traditional clear retainers, Vivera retainers are made with the same state-of-the-art technology as Invisalign® aligners and use 3-D digital imaging, proprietary thermoplastic material, and advanced fabrication technology. All of these things combine to create a strong retainer with an extremely precise fit that grips firmly and feels comfortable. Best of all you wont have to have the goopy putty put into your mouth, Vivera is the only orthodontic retainer on the market that does not require an alginate impression. Invisalign sends you 4 sets of clear retainers that are created from your final iTero scan. 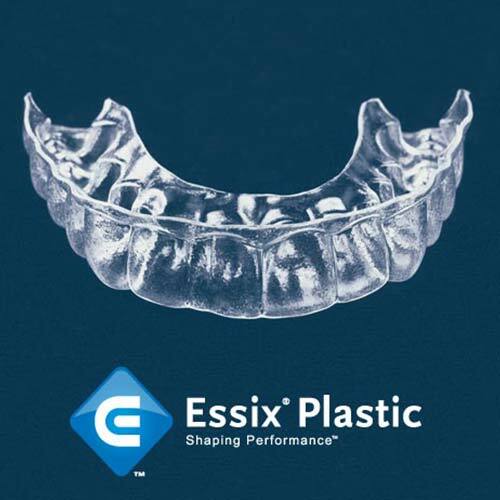 Essix retainers gently guide your teeth into a position where the upper and lower sets are even, straight and align with each other. Though your teeth may feel firmly set in your mouth, they move when under constant pressure, and can assume new positions in the mouth all on their own. Essix retainers maintain the intended position following orthodontic treatment, all while providing minor corrections to slightly misaligned teeth if needed.